Escape to the wide open vistas of the west! Beautiful secluded 35 hilltop acres in a remote part of Wyoming waiting to become your personal getaway, new home, or retirement retreat. Only 5 miles off the pavement, with lots of pine and juniper trees, open level grasslands, and expansive western views. This end of the road property could be the place you have been looking for to slow down and relax! Power is to the lot. Numerous great building sites, lots of wildlife including deer, antelope and turkeys. 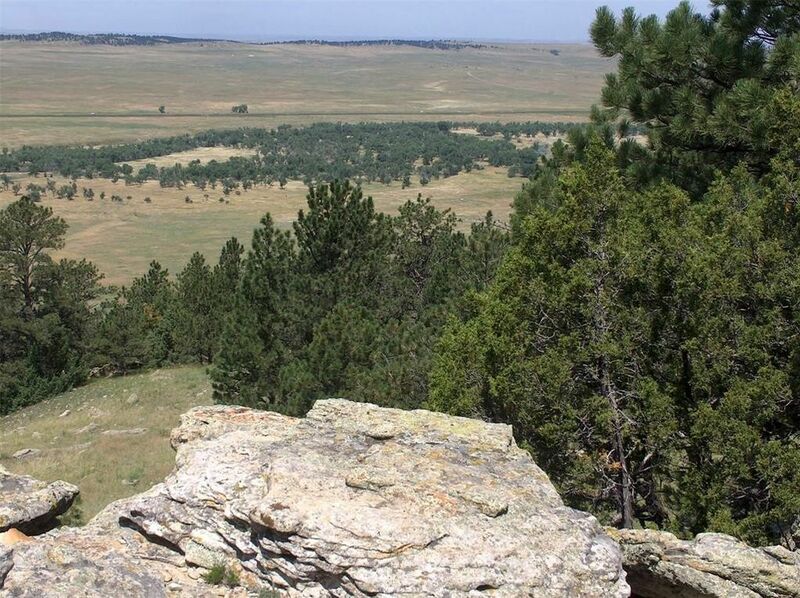 28 miles north of Lusk (pop 1600), 60 miles south of Newcastle, Wyoming (pop 3500) and the Black Hills. 70 miles southwest of Hot Springs, South Dakota (pop 3500). This parcel is one of three total that all adjoin each other, each for $59, 900 or you can get all three for $174, 500 and have 106 acres of rolling pine hills. Come escape from the rat race to the wide open spaces of Wyoming to the real west, to a county that has less than 2500 folks living in it! Make yourself number 2501!